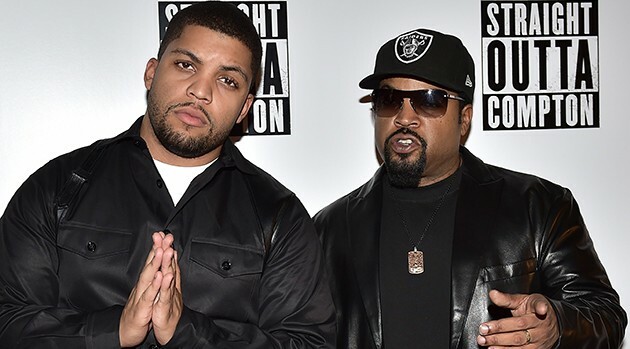 LEON NEAL/AFP/Getty ImagesIce Cube says there’s no truth to a report that he and his son, Straight Outta Compton star O’Shea Jackson Jr., will work together on a thriller revolving around the 1992 Los Angeles riots. However, the trade paper insists talks are underway for Cube and Jackson to star in April 29, 1992. Cube would play an ex-criminal who must save his son when thugs raid his place of work in an attempt to steal platinum. Jackson plays his dad in Straight Outta Compton, the reigning box office champ.